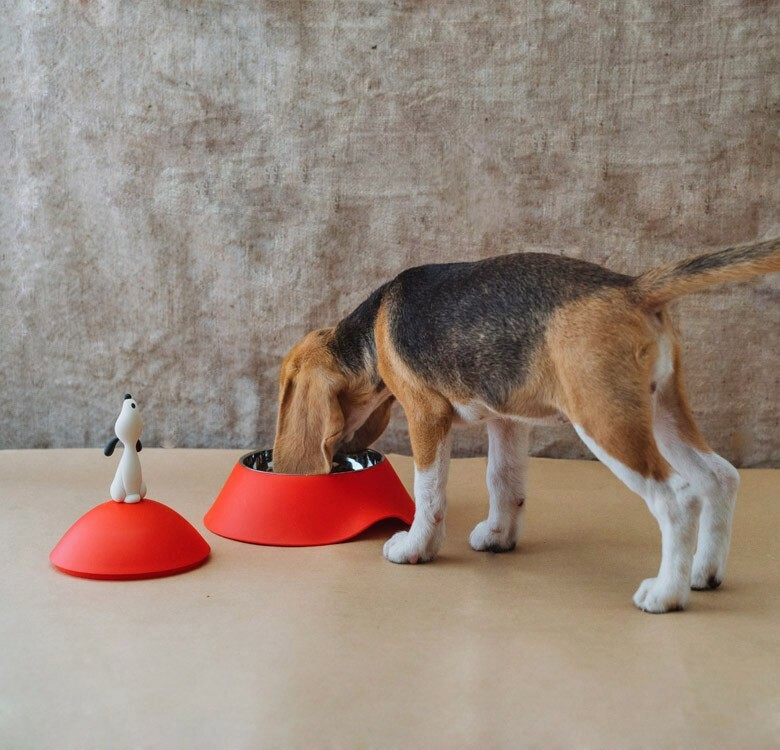 Designed by Mirriam Mirri, this dog bowl is ideal for puppies and smaller canines. 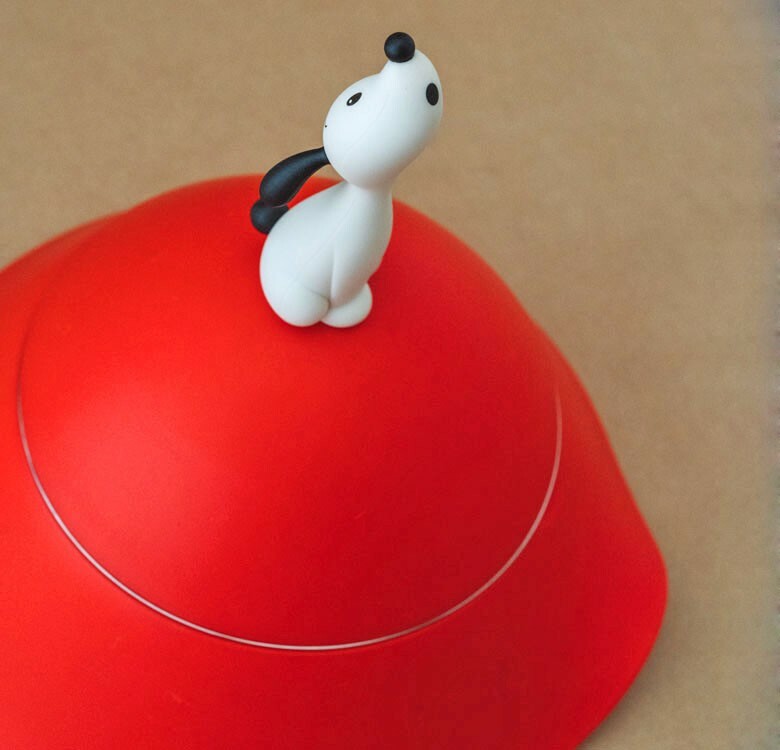 Its mountaintop features the designer's four-legged friend "Lula" who looks as if he is howling at the full moon. Functions both as protection for the food, and prevention from having your own Lula eat all day.